Thanks for visiting us at Hannover Messe 2014! 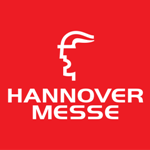 LMSNT / News / Thanks for visiting us at Hannover Messe 2014! Dear friends, thanks for visiting us at Hannover Messe 2014 exhibition! We are hoping that our meeting will be the start of successful collaboration.